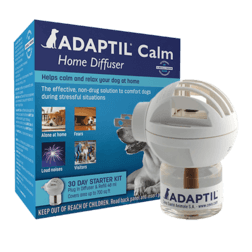 It is very common for dogs to be fearful of loud noises, including fireworks and thunderstorms. 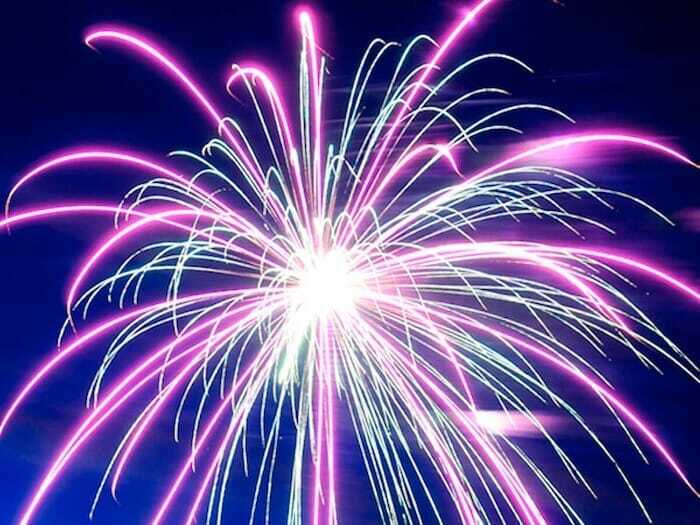 While a certain degree of fear during big bangs is normal to keep dogs from danger, it becomes very stressful and unhealthy for you and your dog when this fear is extreme. Knowing your dog’s triggers and the signs of fear and anxiety are important for good pet ownership. The best way to prepare dogs for fireworks is to think like a dog. They feel scared as they are alarmed by the loud noises of the fireworks but do not understand that fireworks cannot harm them. That’s why they feel safer when they have a hiding space. You can make your dog a ‘safe haven’ or a ‘dog den’. 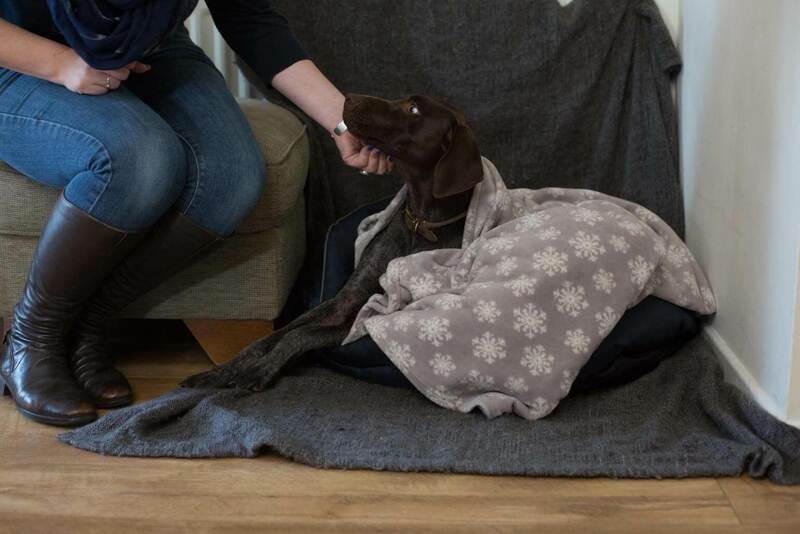 If your dog already has a hiding place then this space can be used making it as snug and secure for your dog as possible by adding blankets or bedding. If you are making your ‘dog den’ from scratch, try to do this a few weeks in advance so that your dog knows it is a safe place when fireworks start. 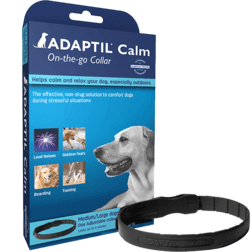 Using ADAPTIL Calm Home Diffuser or ADAPTIL Calm On-the-go Collar at least 3 days before an anticipated event will help your dog to relax and cope with the loud noises. Any time a pet owner notices behavior changes, it’s always a good idea to schedule a veterinary appointment. Your veterinarian can offer invaluable advice, guidance and treatment options to address the behavior issues and increase the chances of successfully remedying the problems.